Iran officials have signed two agreements for 118 new aircraft, pilot training, airport operations and ATM support. The agreements were signed at the Élysée Palace, Paris, during Iranian President Hassan Rouhani’s official visit to France with French President François Hollande. Iran Air has signed an agreement with Airbus for the acquisition of the full range of new Airbus airliners (73 widebodies and 45 single aisle). This includes pilot and maintenance training and support services to help the entry into service and efficient operations of these new aircraft. In parallel the Minister of Roads and Urban Development, Dr. Abbas Ahmad Akhoundi, has signed a comprehensive co-operation agreement as part of the country’s modernisation of its civil aviation sector, to support the development of air navigation services (ATM), airport and aircraft operations, regulatory harmonization, technical and academic training, maintenance, repair and industrial cooperation. These two agreements took place as part of the implementation of the JCPOA (Joint Comprehensive Plan Of Action) on January 16th 2016, and its associated rules and guidance. The agreement for 118 new aircraft signed by Mr Farhad Parvaresh, Iran Air Chairman and CEO, includes 21 A320ceo family, 24 A320neo family, 27 A330ceo family, 18 A330neo (-900), 16 A350-1000 and 12 A380. “Today’s announcement is the start of re-establishing our civil aviation sector into the envy of the region and along with partners like Airbus we’ll ensure the highest world standards,” said Mr Farhad Parvaresh, Iran Air Chairman and CEO. “The skies have cleared for Iran’s flying public and Airbus is proud to welcome Iran’s commercial aviation back into the international civil aviation community. 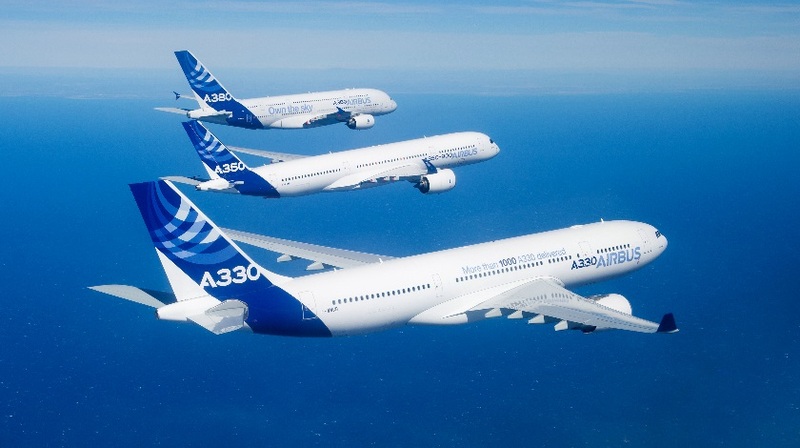 Today is a significant step in the overhaul and modernisation of Iran’s commercial aviation sector and Airbus stands ready to play its role in supporting it,” said Fabrice Brégier, Airbus President and CEO.